Over 100 wax figures. One memorable experience. Multiple ways to have fun. One low price. Welcome to an edge-of-your-seat, jaw dropping storytelling experience. The man. The myth. The legend. This is Michael Jackson ONE. Just about everyone has heard of the Las Vegas Strip. 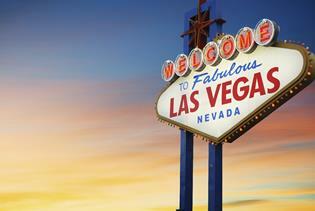 Famous for its bounty of hotels, casinos, and attractions, the Strip is a sight to behold. Where else can you see the Eiffel Tower, Statue of Liberty, erupting volcanoes, and gondoliers all within blocks of each other? Wear comfy shoes and explore over four miles of one of the most famous streets in America. Tripster Las Vegas coming soon! Keep an eye out for the Bundle it! logo throughout our website! Downtown is where Las Vegas got its start. See the famed Golden Nugget Hotel & Casino and the Neon Museum that features over six acres of neon signs from old casinos. Fremont Street Experience is the five-block entertainment district in the heart of downtown. Here you’ll find everything from ziplines to the Mob Museum to a shark tank. Did you know Hoover Dam is only about an hour from Las Vegas? It’s so close you don’t want to miss it. It’s easy to book a tour by bus or helicopter or just drive yourself. A little bit further, but well worth the drive, is the Grand Canyon. It’s easy to book a tour here, too. Death Valley National Park is also nearby. Don’t miss out on all the natural and man-made wonders around Vegas. And there are always free things to do in Las Vegas as well, so let’s pack and go! Purchase Gift Certificates for your family and friends! Contact us for support or help booking your trip at 1-844-560-7142.